Home / Uncategorised / City welcomes Dom! 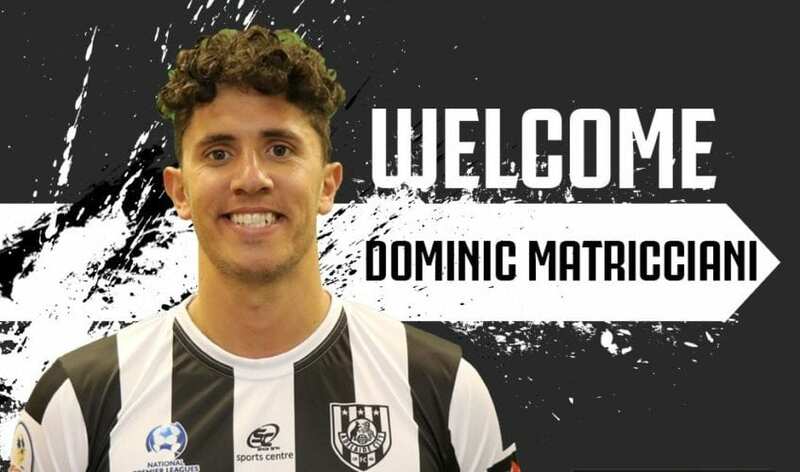 Midfielder Dominic Matricciani has joined Adelaide City for the 2019 National Premier League season. Matricciani has extensive and valuable experience across football in South Australia and brings versatility to Adelaide City’s midfield. “I joined Adelaide City from Port Adelaide Pirates, and I played my junior football at Campbelltown City and have played at MetroStars, Croydon Kings and Para Hills Knights, so I have been able to gain experience and develop my skills across the league. Dominic has been working hard across pre-season and is looking forward to donning the Black and White this year and is eager to get involved and win championships. “It was fortunate that Michael Matricciani has given me an opportunity, unfortunately I have been injured the last eight weeks but slowly working back into my fitness. “I joined Adelaide City to win championships and silverware, that is the goal.